After the ending of Breaking Mr. Cane, I was anxiously awaiting the arrival of this book. The journey Kandy and Cane have been through so far is heart-wrenching, passionate and completely unforgettable. After everything happening Kandy and Cane find their strength in each other. Their love grows only stronger. After the fallout from book one, Kandy is trying to get on with her life, now that she is at the University of Notre Dame. She is getting used to college life, making friends , going to classes and keeping up with her softball scholarship. But despite all this, she misses Cane. Cane is busy putting out fires after his and Kandy’s relationship is discovered. He has his business and other things to keep him busy, but he can’t get Kandy out of his mind. So when he sees her again, there is no stopping them this time. They are just so right for each other. When I saw that Shanora was writing another forbidden romance, I knew I had to read it. I loved Tainted Black and Untaited, so it was little surprise I loved Wanting Mr. Cane as well. I loved the angst, heat, the age gap and all the drama. The story is about a girl and her dad’s best friend. 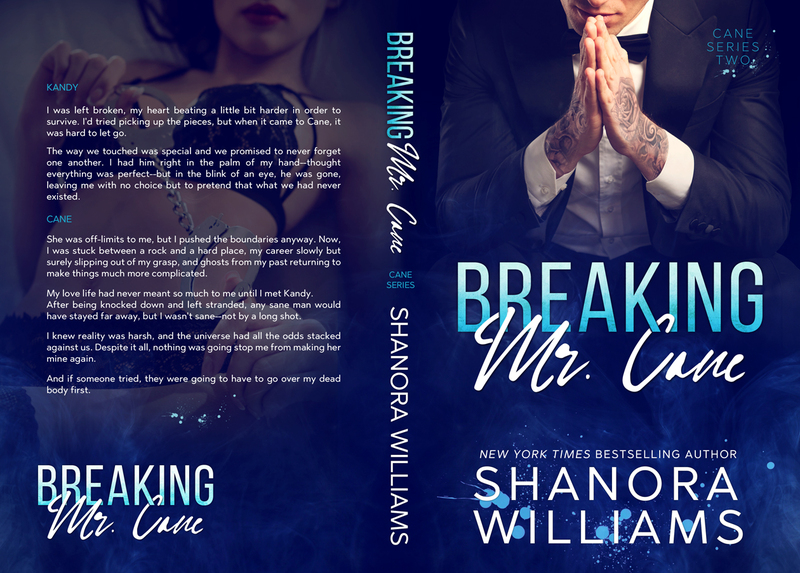 Breaking Mr. Cane, the gripping, steamy follow up to the bestselling forbidden romance, Wanting Mr. Cane, is coming July 12th! When we first met, she was just a kid – my best friend’s daughter. A sweet, young girl with a big heart. But now, she’s a young woman who knows what she wants, and all she wants is me. 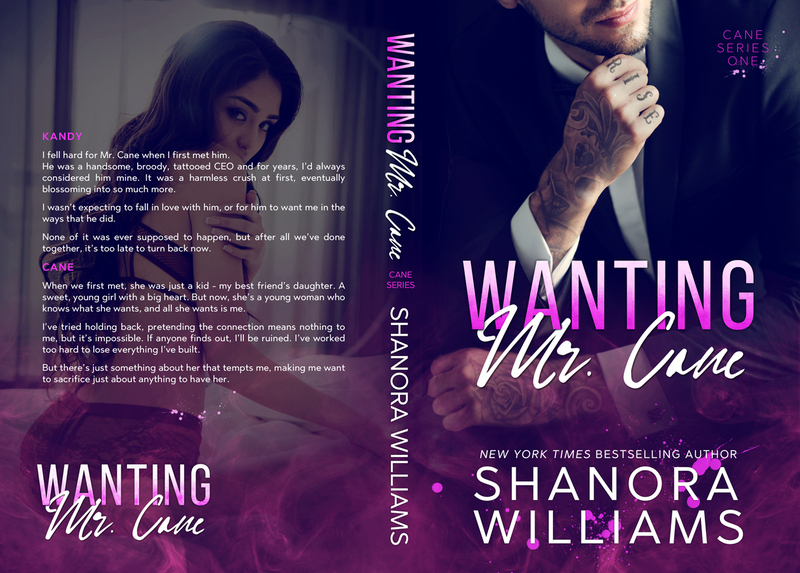 Wanting Mr. Cane, an all-new romantic STANDALONE from Shanora Williams is coming June 7th!